Any questions are welcome in the comments section. Feel free to share. Keeping exotic pets such as reptiles and amphibians has massively gained in popularity in recent years. When I was a youngster, I was always interested in nature and wildlife and a lot of what I learned came from observing creatures in their natural habitat, on TV and in real life. Ask my bemused mother. She tells me aged 4 I was more interested in turning over massive rocks in the garden looking for creepy crawlies than watching cartoons! I guess I was doomed to be a nature geek from the start. In any case, after collecting bugs, tadpoles and mini beasts and keeping them in jam jars as a small child, I graduated and got my first ‘exotic pets’ when I was about 12 years old for Christmas. This was of course after much pleading and convincing my very patient parents it was a good idea and I knew what was involved. The reptile scene in Ireland back then was pretty small, so I managed to find a pet shop on the other side of Dublin that would import some American Green Tree Frogs (Hyla cinerea) from the UK for me. I awaited their arrival eagerly but was awaiting disappointment. Four fairly stressed and none too healthy tree frogs were collected from the pet shop and duly set up in the planted vivarium I had painstakingly prepared for them in the weeks before. I had read every scrap of information I could find in my collection of books. The internet age of information at your fingertips was yet to come! 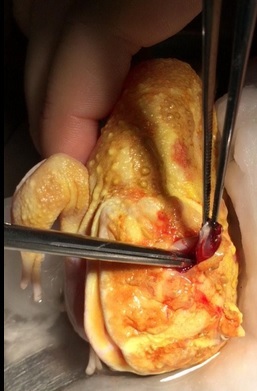 Sadly three of the four frogs has abrasions and ulcerations on their skin, and two out of the four very quickly succumbed to secondary infections and died soon after. 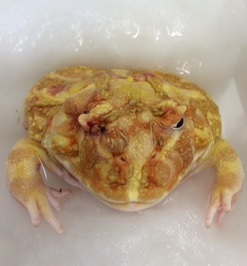 The other affected frog I managed to save by going to my local vet (a rather rough around the edges, Irish country vet type) and asking him for various antiseptic old fashioned remedy chemicals I had read about in one of my amphibian books. These were potions that wouldn’t have looked out of place on the shelves of an ancient chemistry lab. 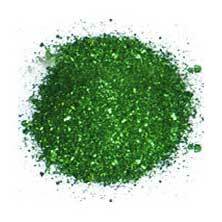 Malachite Green, Potassium Permanganate and Mercurochrome Blue if my memory serves me correctly. 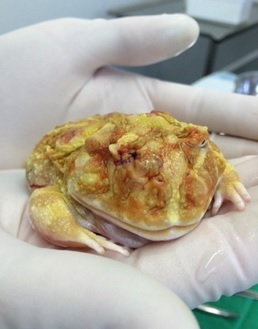 The vet seemed quite bemused by this tiny budding frog doctor at his door and handed over the colourful crystals charging me the princely sum of 50 pence. 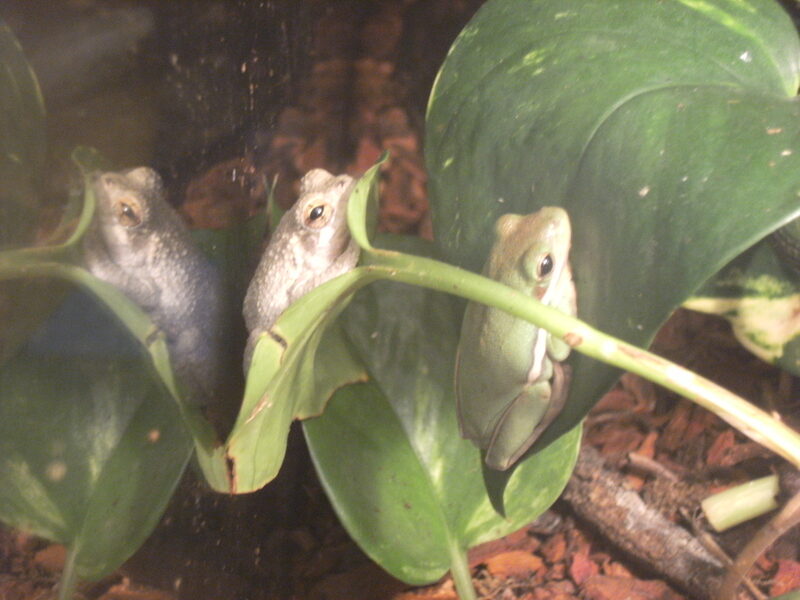 That pair of tree frogs survived for many years, after I had got them through the initial acclimatisation period and provided me with hours of fascination observing their behaviour. In the summer any daring bluebottle or housefly that entered the kitchen would be captured by myself, my Dad or brothers and released into the tree frog tank. We had great fun watching them stalk their prey through the branches and vegetation of their enclosure. In the winter I would reduce their temperatures and day length gradually and settle them down to a few months of hibernation before rousing them again in Spring by gradually raising their temperatures and lighting or photoperiod. It was great to see them leaping about again and eagerly searching for food each year. On hot summer evenings (few and far between in Ireland, let me tell you!) the male would call for hours on end, a loud, duck -like quacking sound. My mothers rule was that none of my ‘pets’ were allowed in the house so luckily this racket wasn’t too disruptive. My father, fearing the garage would burn to the ground due to the amount of extension leads I was using, erected shelves and roped in an electrician friend to install electrical sockets in the garage for my ever expanding collection of tanks and aquaria housing various frogs, toads, turtles, snakes and lizards. 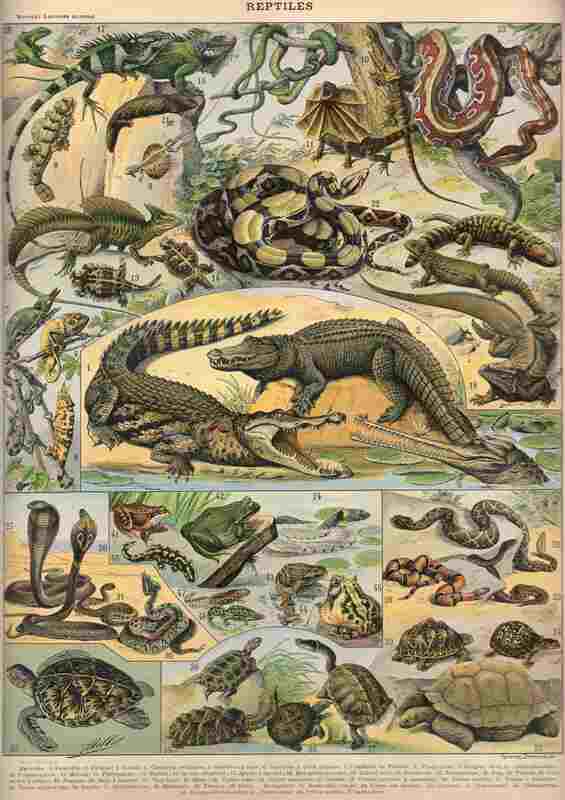 If I wasn’t busy in the garage tending to and observing the reptiles and amphibians that enthralled me so much, I was often reading about their natural history. Lesson number one: if you’re going to keep an animal successfully, read as much as you can about them! What ever happened to reading a book? Which brings me to the point of this article. The most useful and simple advice I can give to any keeper of reptiles and amphibians is to learn about their natural history in the wild, and replicate these conditions in captivity. These are effectively wild animals, and need to be treated as such. The early days of the reptile community when I was growing up revolved mainly around a small shop in Mother Redcaps Market in the old historic part of Dublin near Christchurch Cathedral. The shop was run by two insanely knowledgeable and passionate herpetologists who I know and respect massively to this day. There was a real community of people who would meet and discuss ideas in this tiny shop, and the Herpetological Society of Ireland (http://www.thehsi.org/) was borne out of these informal meetings. The difference I see between the keepers and enthusiasts back then compared with today is that most took a huge interest in the natural behaviours and habitats of their species of interest. Most could reel off the Latin names (and know the significance of them), their natural geographical range, what type of climate the species was accustomed to, the unique feeding habits, natural diet, seasonal variations, subspecies differences, breeding habits, micro-climates, ecological niche and so on. The hobby was not about keeping a ‘pet’ reptile, it seemed to be more about scientific study of a species for many keepers. There was of course many who kept a single corn snake or lizard and doted on it as a beloved pet, but for the most part keepers enjoyed observing the unique biology of this group of animals. Over the years, as the reptile hobby has gained popularity, these pets are becoming more ‘mainstream’ and are sometimes a better option for people who cannot devote the space, time and economical requirements needed caring for a more traditional pet such as a cat or dog. 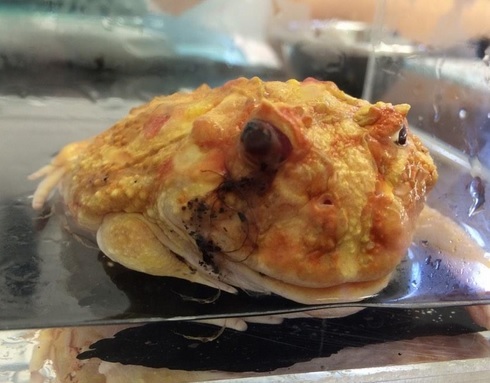 Unfortunately, with this trend a lot of people have seen pet reptiles and amphibians as lower value pets, and not treated them as worthy of great care and attention. This article by a very knowledgeable colleague makes for an interesting read in that respect, over at Reptile Apartment (http://reptileapartment.com/2013/04/19/disposable-pet-nation/#tc-comment-title). On the other hand we have a whole new wave of extremely devoted pet owners who would do anything for their beloved reptile but perhaps are missing some of the knowledge and understanding of their natural history which can lead to stress and health problems. The basis of keeping such pets successfully is in researching their requirements and providing as near a replication of wild conditions as possible. All too often in my work time I am presented with a sick animal and a bewildered owner wondering why their animal is unwell. Frequently the owner when questioned knows very little of the conditions required to keep that animal healthy. They may know what species it is and what it eats, but not where it hails from in the world, what temperature it needs to be kept at or even what temperature it is being kept at in their own vivarium! 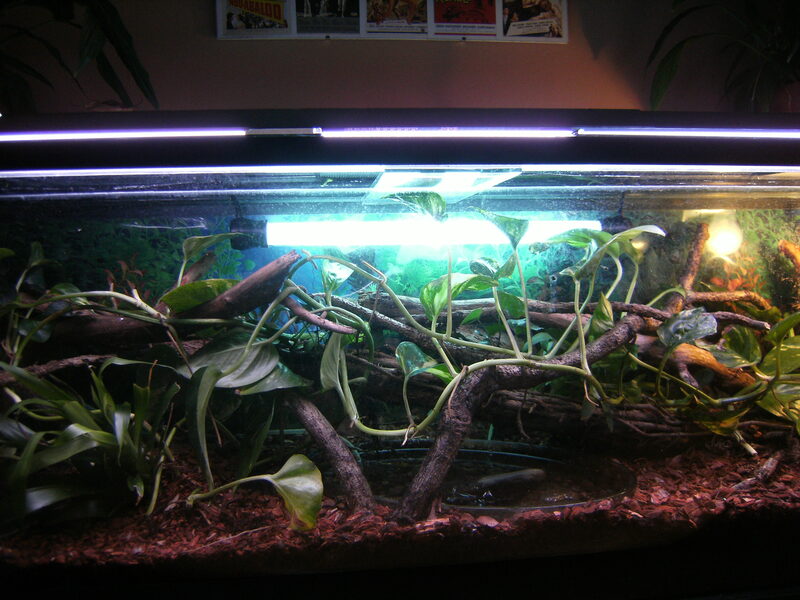 Temperature, humidity and lighting requirements are the fundamental basics of providing reptiles and amphibians with the correct captive environment to thrive, are very specific and vary from species to species. But the number of people who do not know this basic information about how they are keeping their pets is staggering. I will often ask about what equipment the owner is using in a reptile consult for heating and lighting for example. A common answer is: “Oh the correct ones the pet shop sold me”. OK, so my next question will be what temperature their vivarium reaches in the warm end and the cool end, and what it drops to overnight? Sadly I am often met with a blank stare. All too often an owner buys a reptile from a pet shop, listens for a half hour to the shop assistant as to what the animal requires, and never does any further research or reading on what is involved in it’s care. If they are lucky they will have gained some good advice from an experienced and knowledgeable reptile enthusiast. Commonly, they will have taken the advice of a young person who is keen but has received minimal training and is far from knowledgeable on reptile care. A 20-30 minute conversation going over temperatures, heating equipment, cage design, food items, supplements, lighting and so on is a lot of technical information for a new owner to take on board. It is simply not enough to absorb and retain the level of knowledge required to successfully keep a pet reptile amphibian happy and healthy for a natural lifespan. The number of pets that die in captivity soon after being acquired is astounding, and a very poor reflection on the exotic pet hobby in general. 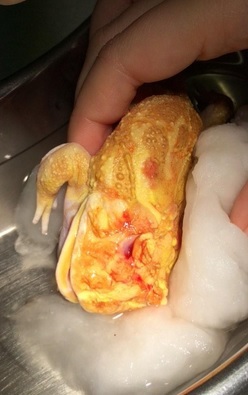 In fact, it is one of the tools and statistics used factually or misleadingly depending on your viewpoint to discredit and campaign against the hobby by many animal rights activists (http://www.apa.org.uk/biologist/). The point I’m most trying to make is that if you are willing to devote a great deal of time researching a species natural history, this will give you a far better chance of successfully keeping that animal as a pet. Buy a book, read care sheets online, join in conversations on forums with other keepers of the same species BEFORE buying the animal in question. If everyone took this effort there would be far better welfare for captive reptiles and amphibians. There is an abundance of information out there, and it can be overwhelming to decipher what is correct and what is wrong. However, if you apply first principles of the natural history of your species in question you can come up with a list of appropriate habitat type, temperature and humidity range, seasonal variations in environmental parameters, social behaviour considerations and so on. Then you tailor the facilities and equipment available to you to replicate such conditions in captivity. The approach I see all too frequently of giving a prescription of equipment needed for a particular species is totally unsuitable in many cases. For example, many care sheets will recommend a certain wattage heat lamp for a certain size vivarium, which doesn’t take into account the ambient temperature in the pet owners home, how cold the room is in winter versus summer and so forth. They may also state what brand of UVB tube to buy, but leave out factors like the longevity of that bulb, how often it needs to be replaced or the fact that you need a stronger UVB output bulb if it is outside the vivarium shining through mesh as opposed to hanging inside the vivarium itself. Better advice would be to choose the appropriate wattage of bulb that provides the correct temperature gradient in your particular setup, encouraging the use of a simple and inexpensive thermometer to measure said temperature! Experimenting with the equipment for your particular circumstances to produce the right environment is critical. Similarly, you will often find prescriptive advice about your particular animal along the lines of: ” This species doesn’t need a heat lamp, it should be kept with a heat mat alone. I have done it that way for years”. The first problem that arises when advice like this is followed blindly is that it relates only to how that particular person keeps their animals. Maybe that person has a large collection of leopard geckos in a room devoted to reptiles and keeps them in a rack system containing many animals closely together. Maybe for their reptile room the ambient temperature is enough as background heat to keep their animal healthy and well. Apply the same advice to a young boy keeping his first leopard gecko on his bedroom dresser in a glass tank and your advice becomes inappropriate or dangerous. The boy is just using a heat mat under half of the glass and creates a wholly inappropriate environment where the ambient temperature of the tank itself is room temperature in the cool end, subject to daily and seasonal variations in the temperature of the bedroom, and the gecko has the choice of either sitting on substrate warmed by the heat mat or being elsewhere in the tank at a lower temperature than required. Add to the situation that the boy has been told geckos need a hide box in their vivarium and the boy places it in the cooler end of the tank. The gecko is a juvenile so is stressed and will not eat because it is either hiding but too cold to have an appetite or digest it’s food, or it is warming up out in the open and feels threatened by the possibility of predation. All of these subtle factors can lead to a debilitated, stressed animal which succumbs to illness and dies. The boy did what he was told by the pet shop, or read on a care sheet online, but the gecko still died. The fact is he took far too simplistic an approach to keeping what are highly specialised pets that don’t forgive shortcuts in care. To purchase the correct set up and equipment needed to provide the correct environment and care for his gecko may have far exceeded what his parents were willing to spend on his birthday present. So the pet shop or care sheet gave them prescriptive advice and shortcuts ignoring the subtleties of environmental control and they assumed they were doing right. Those tree frogs I bought as a 12 year old succumbed to transportation stress and being kept poorly in the pet shop both in Dublin in dry conditions under a high wattage heat lamp and perhaps also in the UK before they found themselves in my care. I managed to save two of the four which went on and thrived afterwards, mainly because I read and understood in great detail what their natural requirements were and used what equipment and conditions I could afford at the time to replicate these exactly. The advice I give to anybody new to keeping reptiles is to treat their reptiles and amphibians not so much as humanised pets but as wild animals, and see yourself as a zoo keeper aiming to replicate wild conditions. Stress is a big killer as it weakens their immune system and natural defenses. Handling or disturbing your animals too frequently should be avoided, especially in newly acquired animals or shy species. Fluctuations in temperature or incorrect temperatures even by a few degrees are enough to depress immunity or digestion over time for example. Keeping a high humidity species in drier conditions than those in the wild will lead to serious health issues. Feeding a diet far higher in fat or deficient in certain minerals and vitamins is a massive cause of mortality over time in our exotic pets. 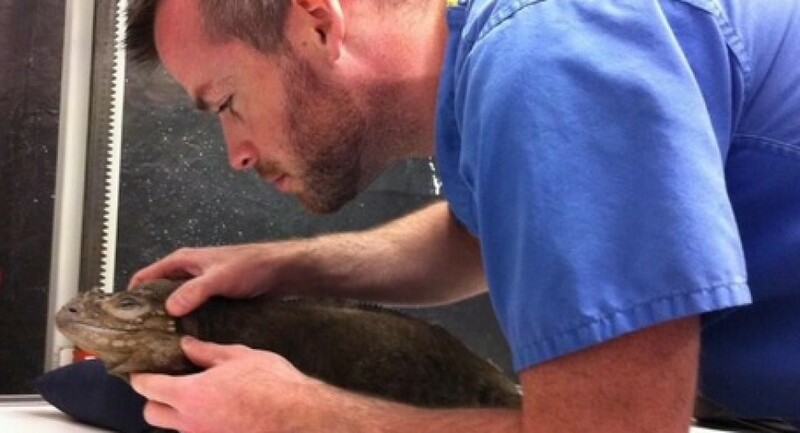 When researching your pet before you decide if you can care for it, ignore the ‘experts’ online shouting prescriptive lists of how to keep the species in question, unless they are shouting lists of scientific tangible information on the specific conditions needed and offering advice on how best to replicate those conditions. There are a multitude of accessories and equipment available nowadays, the important thing is to know not only how to use them but why you are using them and monitoring if they are helping you provide the perfect replication of the natural environment needed for your pet. Would love to hear your comments, so feel free to send them in below.